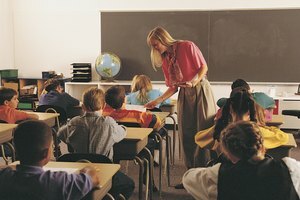 Teaching methods that incorporate practical application often help elementary students. While some elementary school students sail through math class understanding and even enjoying its concepts, others struggle with anxiety, self-confidence and understanding its practicality. Because there is no one size fits all package for math education, numerous factors can affect how well a student grasps it. Teaching strategies, thinking styles and attitude can all shape a child's relationship with math. Although the gender gap in mathematics between men and women narrowed during the 1990s and 2000s, the stereotype that boys are better at math still has a profound effect on children. Children as young as second grade begin to identify with this generalization, affecting their self-assessments of their abilities and future confidence in math, according to elementary education specialists Dario Cvencek and Andrew Meltzoff. 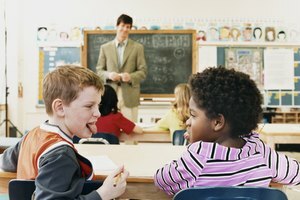 Consciously or not, teachers also play a role in perpetuating stereotypes by calling on boys more frequently, giving them more detailed one-on-one instruction and asking them harder questions. Because math involves multiple cognitive skills, children who struggle with one or more of them may experience challenges in math as a whole. For example, students may have difficulty translating English words into numbers, such as when doing word problems, or may lack the spatial knowledge to visualize concepts like inequalities. 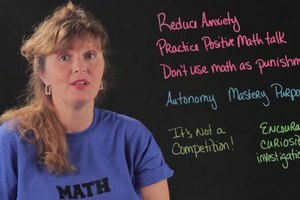 Math anxiety, which can develop as early as first grade, can also inhibit working memory, the primary thinking tool used in solving math problems. Consequently, even high-achieving students can suffer from performance anxiety on tests or going to the board to answer a problem. 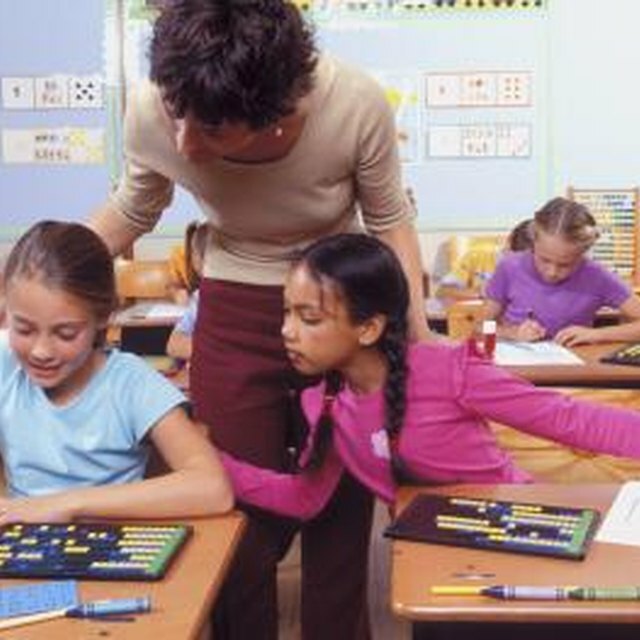 Teachers' instructional methods can also influence a student's grasp on math. According to the New Jersey Department of Education, students learn best when provided with chances to engage new concepts actively. Making lessons too lecture-oriented, focusing on drills and memorization and emphasizing getting the right answer over the problem-solving process can result in passive learning and keep students from seeing math's practical applications. Active methodology, including community-based learning environments, a mix of individual and group work and lessons that link new concepts to previous ideas can produce both positive attitudes about math and higher achievement. Family also plays a role in math achievement. In a 2010 study, University of Houston professors Weihua Fan and Cathy Williams explain that parental involvement in children's school lives represents a crucial link in their mathematical development. Discussing their school assignments, helping them with homework and giving them encouragement leads to greater confidence in math and stronger motivation. A 2013 study by New York University education professor Rose Vukovic adds that parental involvement can curb math anxiety. By extending school discussions into the home, parents set a positive example for students to carry back to the classroom. Morgan, Kori. "What Factors Affect Elementary Math Performance?" Synonym, https://classroom.synonym.com/factors-affect-elementary-math-performance-32331.html. 26 September 2017.